Stetson recently announced four new academic appointments designed to enrich students’ academic experiences, help them compete for elite scholarships and fellowships, and help the university plan for the expansion of science programs. Noel Painter, Ph.D., Stetson Executive Vice President and Provost, announced the appointments for three current faculty members and a one-year special appointment of an outside academic advisor. Tim Elgren, Ph.D., dean of the College of Arts and Sciences at Oberlin College, was named Special Advisor on Strategic Initiatives and will lead a study to explore how Stetson can expand programs in the sciences and health sciences. Stetson will construct a new science building on the DeLand campus and expand the sciences, thanks to an $18 million donation last spring from longtime Stetson Trustees Cici and Hyatt Brown. Megan O’Neill, Ph.D., director of the Writing Program and Jane Heman Language Professor, has been named the Director of the Core Academic Experience. O’Neill said this new role will draw upon her writing expertise. Improving those skills will give students “an increasing sense of security” about the value of their Stetson education, she said. Students should be able to clearly see how they developed key skills and interests while at Stetson, such as mastering writing and research skills, through such courses as the general-education curriculum, First Year Seminar (FSEM) Program, Junior Seminar (JSEM) and Senior Capstone. 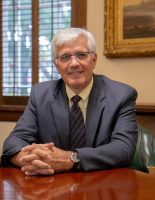 “My goal for Stetson and our faculty is to ensure that we can provide a four-year education that makes forward progress in connected, integrated ways. That task takes a lot of listening, sharing thinking, and reflecting, which is essential if real change is to be created,” she added. Ranjini Thaver, Ph.D., professor of Economics, has been named Director of the First Year Seminar Experience. In this role, she will work closely with O’Neill as the director of the Core Academic Experience to foster an integrative learning process among Stetson students, faculty, staff and other constituents. 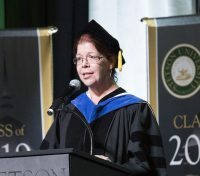 During this academic year, Stetson celebrates the 10th anniversary of its signature First Year Seminar (FSEM) program and is well positioned to adopt an integrative strategy to facilities students’ progress from novice to mastery of effective writing, speaking and research skills, from their first through their senior year and beyond, she said. One goal is to present FSEM as the first of three common learning experiences that also include JSEM and the Senior Capstone. With writing, critical thinking and oral competency as linchpins of the three core learning experiences, FSEM is positioned as the foundational course of each student’s unique, integrative learning journey from first year to graduation and beyond. To facilitate and make transparent this trajectory, the FSEM Program will promote and reinforce shared understanding of FSEM learning outcomes by all stakeholders through focused workshops and other year-round events. Paramount to facilitating coherence across the arc of the student’s tenure will be purposeful scaffolding of these outcomes to make the nature and reach of skills gained more transparent to the concerned and engaged Professional Stetson Hatter Graduate. Grace Kaletski-Maisel, M.S., assistant professor and Learning & Information Literacy librarian in the duPont-Ball Library, has been named External Scholarship Advisor. This new position will help students apply for prestigious and competitive scholarship programs, such as Rhodes Scholars, who receive full financial support to pursue a degree at the University of Oxford in the United Kingdom, and Fulbright Scholarships that provide for international graduate study, research or teaching through a worldwide exchange program. “The goal of this position is to enhance Stetson’s advising capacity in providing new student research opportunities and promoting competitiveness for elite scholarships, fellowships and awards,” Kaletski-Maisel said. “I’ll be working with faculty to recruit more students who want to compete for distinguished scholarships or who demonstrate promise, working with those students to identify opportunities that fit their individual strengths and interests, and providing support to students and their mentors throughout the award application process. 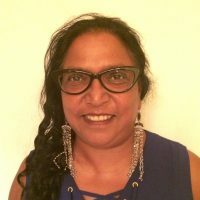 “As a librarian, I am passionate about connecting students with the information and resources they need to be successful. 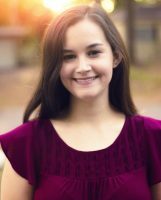 I am excited to apply this passion to scholarships that will help students achieve their personal and professional goals and enhance Stetson’s national reputation,” she added.